Would you believe us if we said you can update your wardrobe without breaking the bank? Well, it’s easier than you think! 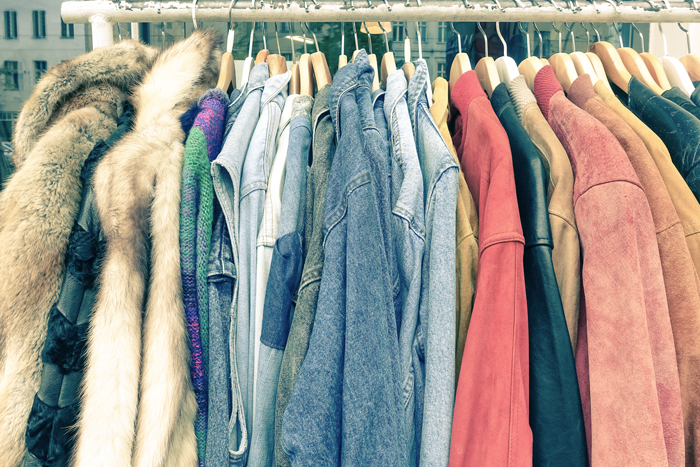 Just head to your nearest thrift store to find must-have staple items without the hefty price tag. Maxis, midis, minis, oh my! You’re sure to come across a few good finds as you sift through the racks. Plus, you’ll most likely snag multiple midi skirts (which are all the rage these days) for the price of what you’d normally pay for one. If you’re on the search for boyfriend jeans or a denim jacket, look no further than your neighborhood thrift shop. You’ll find both vintage styles and modern cuts for a fraction of the price. Band tees are back in style, and nothing beats stumbling across original merchandise while perusing the aisles. You’ll be able to sport your favorite classic rock bands for only a few bucks. Now is the perfect time to stock up on cozy sweaters before the cool fall temperatures set in, and thrift stores are the best place to start. You can snag a mix of brand names, colors, and materials without going over budget. Pea coats, puffer jackets, or full-length trench coats — get prepared for the winter weather ahead of time. You’ll find the best deals on this usually pricey closet necessity. I have found a TON of top name brand clothing in near perfect condition in thrift stores over the years! Great idea, lots of clothes barely worn and some of the proceeds go to a good cause. I really appreciate your input on buying from Thrift stores. I have found many great finds at a local Thrift right up the road.